When The New Yorker published a short story by Said Sayrafiezadeh in 2010, it marked the emergence of a startling new voice in fiction. 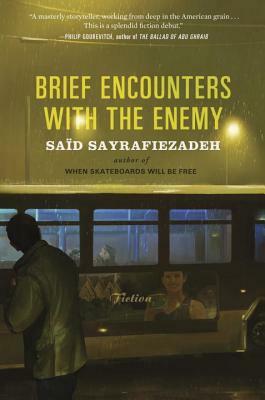 In this astonishing book, Sayrafiezadeh conjures up a nameless American city and its unmoored denizens: a call-center employee jealous of the attention lavished on a co-worker newly returned from a foreign war; a history teacher dealing with a classroom of maliciously indifferent students; a grocery store janitor caught up in a romantic relationship with a kleptomaniac customer. These men's struggles and fleeting triumphs with women, with cruel bosses, with the morning commute are transformed into storytelling that is both universally resonant and wonderfully strange. Sometimes the effect is hilarious, as when a would-be suitor tries to take his sheltered, religious date on a tunnel of love carnival ride. Other times it's devastating, as in the unforgettable story that gives the book its title: A soldier on his last routine patrol on a deserted mountain path finally encounters the enemy he's long sought a glimpse of. Upon giving the author the Whiting Writers Award for his memoir, When Skateboards Will Be Free, the judges hailed his writing as intelligent, funny, utterly unsmug and unpreening. These fiercely original stories show their author employing his considerable gifts to offer a lens on our collective dreams and anxieties, casting them in a revelatory new light. Said Sayrafiezadeh was born in Brooklyn and raised in Pittsburgh. He is the author of a memoir, When Skateboards Will Be Free. His writing has appeared in The New Yorker, The Paris Review, Granta, McSweeney s, The New York Times Magazine, and The Best American Nonrequired Reading, among other publications. He lives in New York City and teaches at New York University."